What's the Difference Between Accent Tables & End Tables? Often combined in the same group, end tables and accent tables are actually quite different. Though they are similar in design, they are not used the same way in home decor. End tables and accent tables usually have the same basic construction with a flat surface and vertical legs for support. They are also crafted from similar materials such as wood or metal. Additionally, these pieces can be finished in the same way with varnish, stain or paint, among other choices. However, there are a few specific differences between accent tables and end tables like location, function, size and shape. The most obvious difference between an accent table and an end table is their place in the home. End tables are typically positioned next to a sofa like bookends. An accent table, on the other hand, can be placed for decorative reasons in any room. End tables serve as a convenient space for lighting, drink coasters, and other items within easy reach from the sofa. Often they come in a pair or as a living room table set of three – two end tables and a matching coffee table. 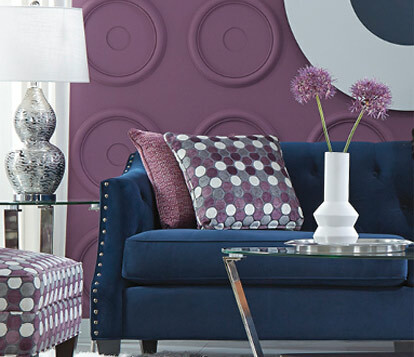 These matching pieces will form a cohesive look, creating your foundational elements in the room. In contrast, accent tables are often intended to complement interior design, adding color, texture or polish to the room. A side table with a beautiful mosaic top or a sleek reflective column shape, for example, may be added to a room solely as decor. Design is also a big difference between accent tables and end tables. End tables tend to be rectangular with a height and depth that matches the sofa. They may feature a small drawer or shelf, but most end tables have a similar style. Variety in style, material, and height, however, is the major attraction for accent tables. Round, square, or abstract, these tables can stand out as decoration or display ornamental objects.